The New Mutants get separated in Asgard. 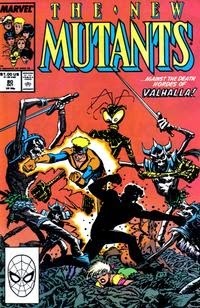 In the caverns beneath their castle, the possessed Valkyrie attack the New Mutants and the dwarf army. Watching from afar, Hela tasks Dani with capturing the New Mutants and bringing Eitri to her. Meanwhile, in New York, Rusty and Skids are still waiting out Freedom Force inside Skids' force field, prepared to tell the soon-to-arrive tourists everything they know about Freedom Force's nefarious plans. However, Crimson Commando arrives with a large laser and cuts out the ground beneath Rusty & Skids, enabling Blob to carry the pair of them away. Back in Asgard, Dani enters the fray, using a magic powder to freeze the New Mutants in place. Carrying off Eitri, she commands the New Mutants be imprisoned in the Immobilization Chamber. 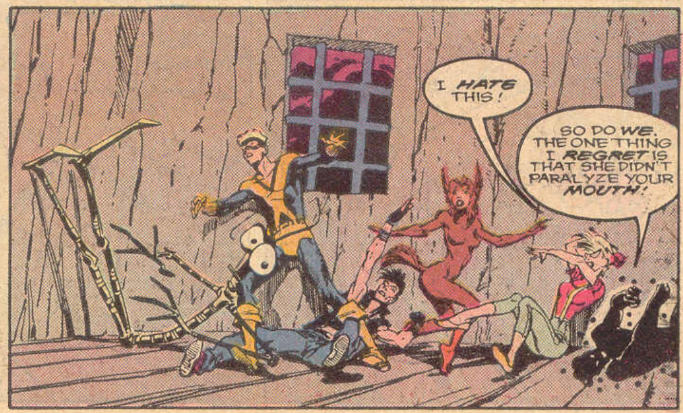 Inside the chamber, the New Mutants are unable to move, but Boom-Boom is able generate a time bomb, blowing a hole into the floor through which she falls. Outside the chamber, she can move, and frees the rest of her teammates. 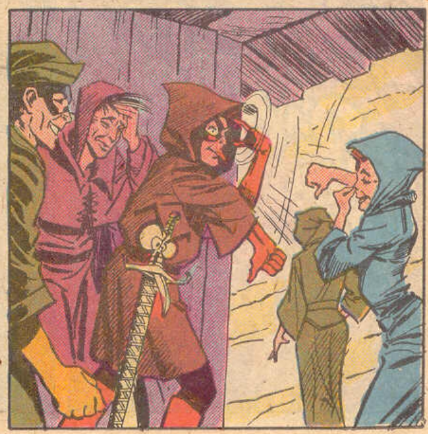 Donning disguises, they attempt to escape, and discover the Wolf Prince being held captive in another cell. Freeing him, he tells them how Hela is building an army to attack Asgard. As Hela casts a spell to bring Valhalla to Hel, the New Mutants decide their best course of action is to escape and warn Odin. 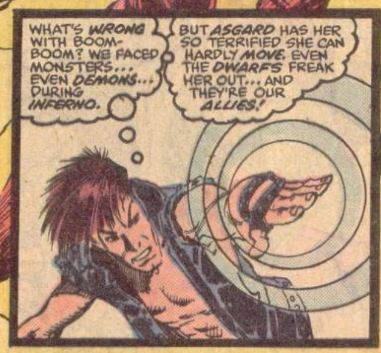 However, just as Warlock races the team away, Hela's spell goes into effect, splitting the team. Warlock, Boom-Boom and the Wolf Prince manage to escape, but the rest of the team ends up in Hel along with Valhalla. With no other options, they decide they'll just have to rescue Dani & Eitri and kick Hela's tail all by themselves. The still-unnamed Hrimhari, the Wolf Prince Rahne romanced in the first "Asgardian Wars" storyline, pops up in this issue, a fellow captive of Hela freed by the New Mutants. He ends up trapped outside Hel along with Boom-Boom and Warlock. We get a brief check-in with Rusty, Skids and Freedom Force, in which Freedom Force basically cuts out the ground at the edge of Skids' forcefield then carries them both away, still in the force field. 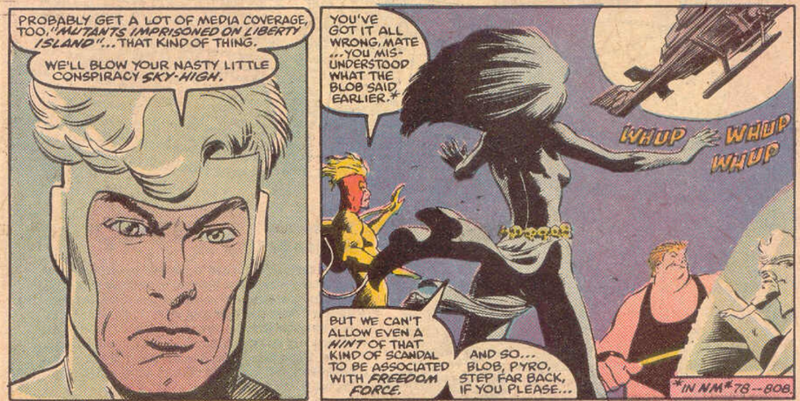 Pyro also says that Rusty misunderstood Blob's comment about their plans for the Inferno babies, though as this never really goes anywhere, we can assume he's probably just trying to talk Rusty down from spilling the beans. Boom-Boom continues to be, in general, freaked out by Asgard. The creature possessing Dani notes that she continues to fight the being's control, and the one thing she's still able to prevent is the outright death of the New Mutants by her own hand. After the New Mutants battle the other possessed Valkyrie for awhile, Hela sends Dani in with some magic dust that freezes them in place. Begging the question of why she didn't just have the other Valkyrie use that in the first place. Boom-Boom notes that she doesn't need to move to create time bombs and is thus able to use her power while frozen, but Rictor doesn't need to move to create vibrations, either (when he first appeared, he was completely encased in equipment and immobilized by the Right). Somewhat humorously, when the frozen-in-place New Mutants are placed in their cell, they're still in the positions they were in when hit with the dust (so crouched, or mid-punch, etc.). After they escape, Warlock disguises himself as a sword on Roberto's belt, another humorous little visual effect. Responses to letters in this issue's letters page tease a possible return for Doug, as one writer points out the "eye circuitry" from issue #53 and the response says they haven't forgotten about it (though, of course, Simonson will leave the book before following up on this). The easiest way to extend a story is split the cast in two, giving the writing an excuse to share or trade off issues between different factions of the team. 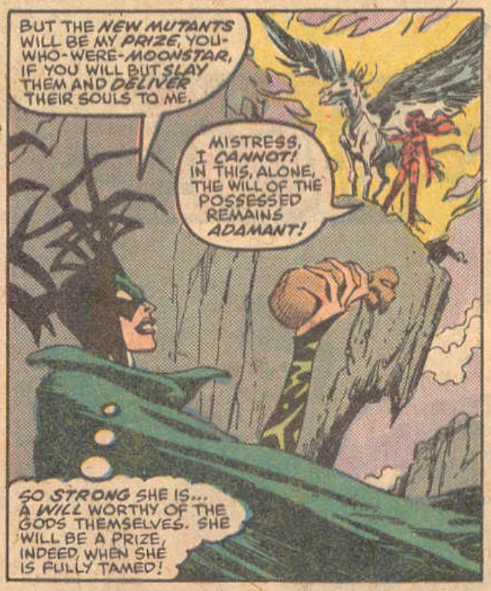 Simonson did it immediately at the start of "Judgment War" in X-Factor, and she does it with the New Mutants here, trapping half the team in Hel, determined to take the fight to Hela, while trapping the other half outside Hel, determined to reach Odin and make him aware of Hela's machinations. Thankfully, we're not in "good lord, when will this story end?!?" territory yet, so this still reads like a logical plot development and not a grim harbinger of things to come. The continued return of old friends from the last Asgard story to the fold (here, the Wolf Prince), as well as a check-in with Rusty, Skids and Freedom Force back on Earth, help keep the narrative momentum going too, and Simonson is careful to keep characterization at the core of the story, with Boom-Boom's unease about Asgard and Sam's struggles as solo leader. Tomorrow, X-Factor #45. 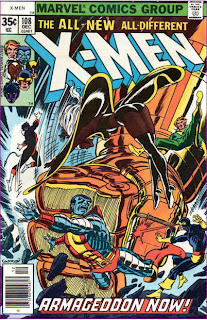 Next week, Uncanny X-Men #250 and Excalibur #13. Blevins and Williamson make a good art duo. I really do think Blevins is a good artist, he was just miscast on this title. Only 6 more issue to go before this is over and Nathan Christopher Whatever Summers shows up! So only six issues to go before the series gets even worse??? YAY!! I should probably just accept the trope of being able to talk even when you're paralyzed, but it always bugs me. Bobby outright refers to it, although that doesn't really help any. I guess I could explain it away by assuming that whatever lets internal vital functions continue, the breathing and bloodflow and brainwaves, necessarily allows for speaking, although that's rather suspect once you get to the lips. @Blam- the paralysis is magic. As Remender had Ares put it once "If it made sense, then it wouldn't be magic." @wwk5d: I really do think Blevins is a good artist, he was just miscast on this title. @Jason: So only six issues to go before the series gets even worse??? YAY!! Story-wise, the series is much improved. It's a clear precursor to the 90s-riffic X-Force but at least the series post-Asgard has a purpose and specific tone. It has its fair share of dropped plots and mysteries that go nowhere, but that's pretty much all down to the reshuffling of the series/line and Simonson's departure moreso than any problems with the stories themselves. @Blam: although that's rather suspect once you get to the lips. Maybe they are speaking without using their lips, in a way that's difficult to approximate via text (as I just now tried to do)? Then again, even more problematic than the lips is arguably the tongue, so who knows? When they're all making hilarious* stinky thumbs-down cuckoo faces. That panel might be the single best example of how mismatched Blevins' artistic tone is with the rest of the series.